When I moved to the Willamette Valley in 2009, I had little knowledge of a simmering disquiet, obscured by rolling hills of pinot noir vines. In a region renowned for elegant red wines the cause for such fuss was, surprisingly, a white Pinot Noir wine—though, one produced using red grapes. Though started in 2008, exactly three months before my arrival a legal dispute had been launched between an area winery and its former winemaker. Claims revolved around disloyalty and improper use of the winery’s name and computers, as well as proprietary winemaking information, namely the making of Pinot Noir Blanc, or white Pinot Noir, a white wine made from red grapes. With all this talk of scandal, and the response from the community, I found this a fascinating introduction to Oregon’s wine industry. 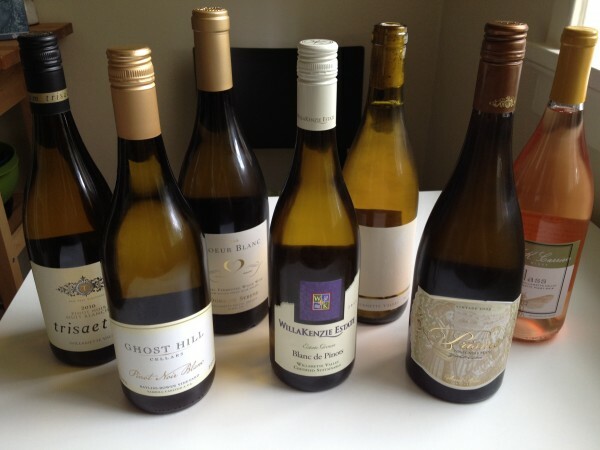 Today, there are a number of producers making excellent examples of white Pinot Noir, and thankfully talk focuses less on who originated the style. 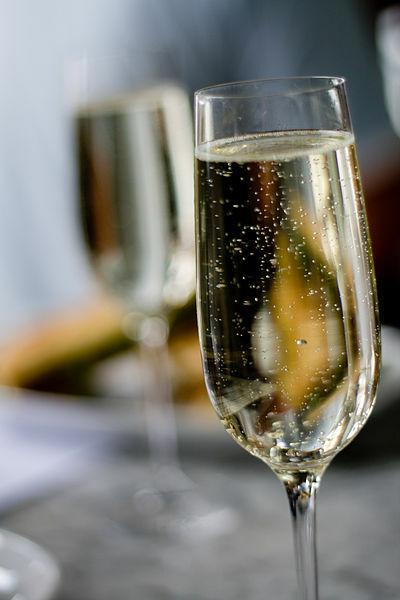 As several producers have mentioned to me, seldom is anything in this business actually “new.” In truth, this method of winemaking is anything but new or unusual, having been used by winemakers in France, notably Champagne, to produce Blanc de Noirs a sparkling white wine made from red grapes. However, most of the white Pinot Noir found in the Willamette Valley reflects a more traditional practice of slowly and gently pressing juice, free of any pigment from the red skins, though some do have a slight hint of salmon or orange coloring. But this is not without variation. 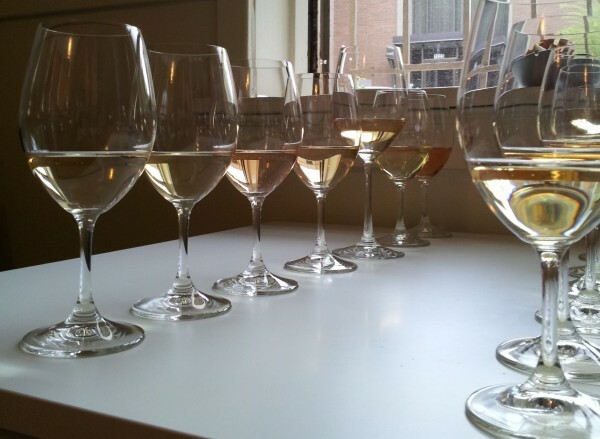 For example, Prosser creates his wine, JKC Glass White Pinot Noir, by stripping color away from the initial wine via a different traditional Champenoise methodology. The stylistic differences certainly make each wine unique, ranging from those that use oak barreling and batonnage (stirring the expired yeast cells in the wine) to stainless steel fermentation. The former combination of methods tends to result in a wine that has considerable depth, and may even be mistaken for a Chardonnay. Alternatively, stainless steel creates a fresh, bright, wine with searing acidity. Both styles, and many in between are ideal food wines. Trisaetum Winery uses a combination of stainless steel and neutral oak barrels, then 10 months of barrel aging before they bottle their Nuit Blanche Pinot Noir Blanc. Winemakers James Frey and Greg McClellan opted to not let the wine go through malolactic fermentation to retain acidity. “Since Trisaetum focuses on Pinot Noir and Riesling, making a white Pinot Noir allowed Greg and me to, in some sense, combine the two … in that we took our [knowledge] from making six different Rieslings a year and applied [it] to the pinot noir grape,” explains Frey. Both winemakers agree the Nuit Blanche is incredibly food-friendly. Developing a rounder, fuller body, Thomas Houseman, winemaker for Anne Amie Vineyards, ferments their Prismé Pinot Noir Blanc in oak, and then further ages the wine sur lie for 18 months in French oak barrels. The resulting wine has a rich flavor profile, and combines rounded mouthfeel with fresh acidity. 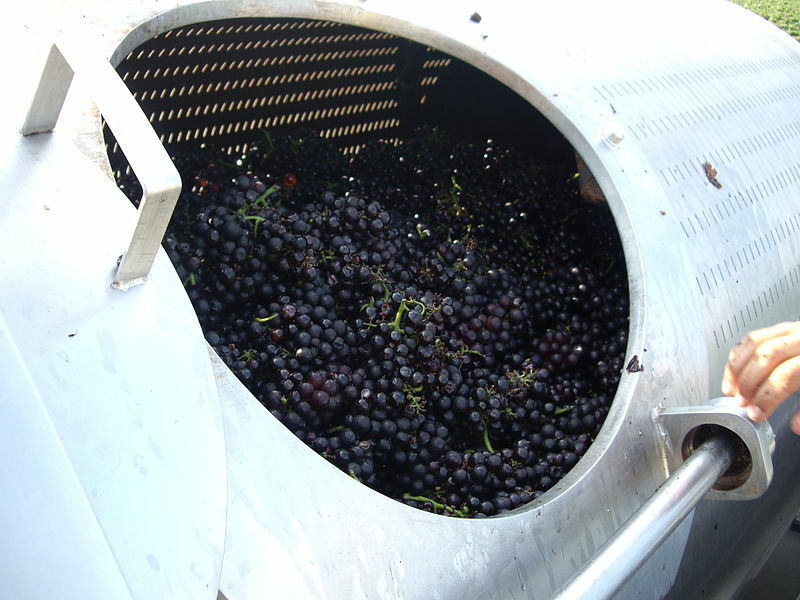 Above all, it became clear to me that a great deal of care goes into making white Pinot Noir. One might think that a less than favorable vintage—when the grapes just do not reach the ripeness and complexity needed for red wine, and acidity is high—leads to an uptick in the quantity of rosés, or production of white Pinot Noir. Instead producing a white Pinot Noir is more a “geeky” endeavor, and requires a level of both quality and labor not common in other styles. All the producers I met insisted, if anything, these wines are more of a challenge. Thomas Houseman talks about the level of work needed at Anne Amie: “We have two crews working on the same grapes in tandem and it is a huge nightmarish labor of love,” which is the primary constraint on the amount of the Prismé Pinot Noir Blanc produced. Further, he expresses that while underripe grapes might be considered ideal for sparkling wine, that fully ripened pinot noir fruit is his preference given the level of complexity and flavor it adds to the finished wine, regardless of the resulting color. “I see the argument for the other camp, but having tasted sparkling base I can assure you that aside from acidity, there is not much to work with flavor-wise. I guess what it really comes down to is the winemaker’s vision of the wine,” says Houseman. “I don’t think white Pinot Noir is a fall back for unripe fruit any more than Champagne is,” posits Marcus Goodfellow of Matello Wines. Goodfellow crafted a limited 25 cases of white Pinot Noir exclusively for The Herbfarm restaurant in Woodinville, Washington, certainly showing a high level of attention and focus for the wine, all of which is now unavailable at the winery. Another producer, Domaine Serene, sets a bar when it comes to luxury, and certainly does not spare any expense with their Coeur Blanc. Allan Carter, general manager at Domaine Serene, shared that their production in fact uses some of their best fruit of the vintage. 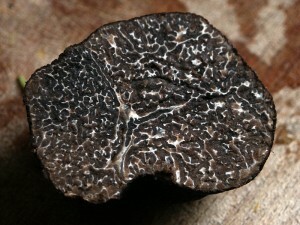 “There is certainly no way to cut corners and have a wine in this style be a complex and serious wine,” Carter remarks. Finally, and perhaps most importantly, there’s the food. Personally, I find that creating wine and food pairings is one of the best ways to appreciate a style of wine or a growing region. 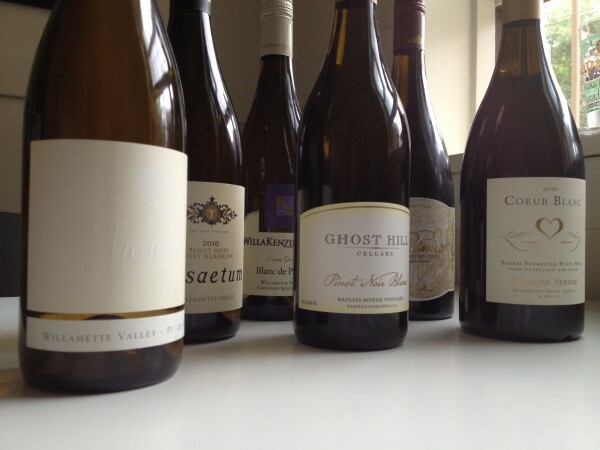 As a cooler growing region, the Willamette Valley produces fantastic food wines, and white Pinot Noir is no exception. With the range of styles, the pairings are seemingly endless. Starting with those that are sporting racy acidity, dishes with similar acid, saltiness, or fat are good options. 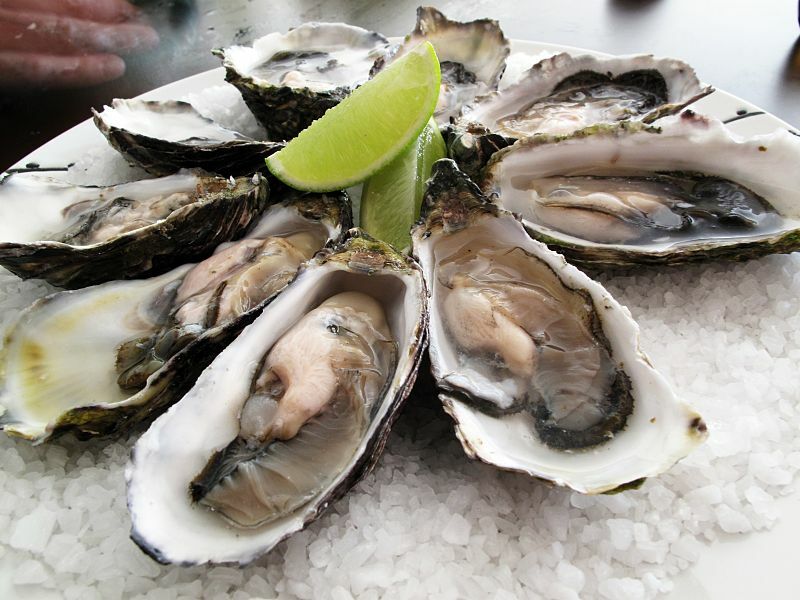 Start with appetizers of cured hams, olives marinated with lemon, or fresh oysters. Follow with a salad consisting of peppery greens like arugula, shaved fresh fennel, and tossed in orange vinaigrette. Main courses might include Oregonzola (a northwest specialty from Rogue Creamery) filled ravioli or fettuccini with garlic scapes, pancetta, and cream sauce. White Pinot Noir wines that have more body, and rounded edges, you can easily use to compliment richer cuisine. Start the meal with shredded smoked pork tacos, Dungeness crab cakes, a heap of truffle fries, or puff pastry with pesto and fresh tomato. Entrées range from grilled salmon (on its own, or as part of a salad with a tahini-based dressing), roasted game with fresh herbs and truffle butter, or seared scallops. Finish, if there’s any wine left, with something like a spiced pear empanada or a cheese course. Coming back to the previously mentioned legal dispute, later the same year all parties settled the matter, which included the winemaker agreeing to not make or consult on a white Pinot Noir for three years. Perhaps a matter of sour grapes, but certainly a welcome conclusion for an industry in the Willamette Valley that thrives on camaraderie and goodwill. While certainly not worthy of enological espionage, Oregon white Pinot Noir is worth seeking out—find reviews of seven below—and enjoying. …it’s about time. Now on to the reds. I would appreciate your advisiong me as to where I might buy White Pinot Noir locally. I just visited your part of the country last month and enjoyed it so much!! lean animal foods, according to Diet promoters, are genetically dictated as the body’s conversion of food into energy. Any number of German producers make white wines from spatburgunder.